Everything you need to interact with your customers. In the cloud. Customer service, social media, sales, marketing. Customer interactions are critical to business operations of any scale. 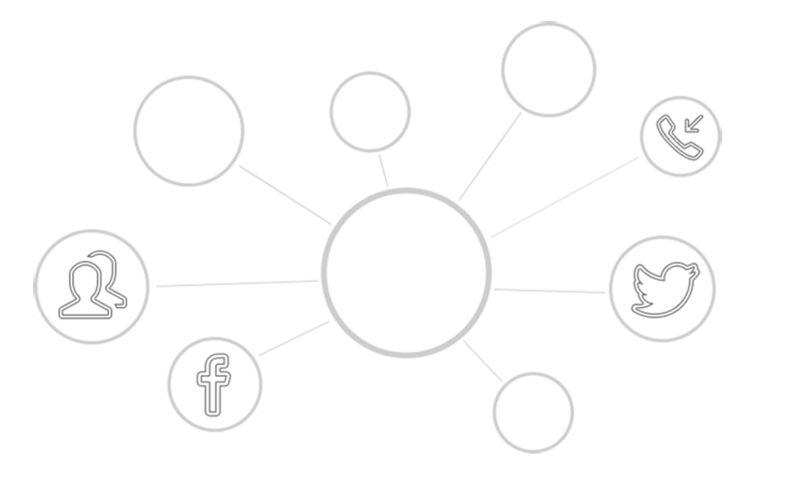 Our Unified Contact Center solution allows your staff to be ready to handle incoming calls, engage in active selling, interact with the clientele on social media, or even run an in-house marketing campaign. By consolidating sales monitoring together with client services, acquisition, and engagement, Innovitel’s Unified Contact Center solution gives you the ability to oversee every aspect of your relationship with your clientele. Whether you need to reallocate your call center resources to social medias – or vice versa – our system will be able to handle the change, as it integrates core customer relation applications within one platform. Our service gives you the means to add or remove lines as you wish, convert workspaces in an instant, design computer-assisted operating procedures, manage and analyse client files, and everything a classical calling center could do, only faster and cheaper. The Unified Contact Center service is an accessible way to establish your own marketing and sales department, for a fraction of the cost of standard contractors. Innovitel offers a comprehensive platform built on world-class business software, an entirely virtual calling-center capacity, as well as training and consulting*.